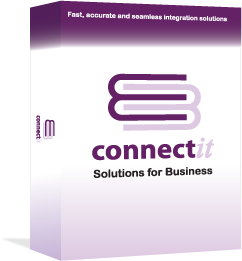 Businesses that would like to improve their efficiency by better using the software they have. Business that use Microsoft, Pegasus, QuoteWerks or Sage software in their back office. Microsoft CRM, Microsoft RMS, Pegasus Opera, QuoteWerks, Swiftpage (was Sage) ACT!, Sage CRM, Sage Instant, Sage 50, Sage 100 or Sage 200 users that want to work more efficiently and get more from their day. If an appropriate solution is not available off the shelf to meet your requirements, or you’ve got a bespoke solution already which you need to add some extra functionality, we can help! We like to work closely with our customers to provide a solution-focussed service. We generally adopt an “agile” project management methodology which we find provides both a structure to work in, with the flexibility to adjust focus as your business needs dictate. Above all, we aim to secure loyal customers by delivering what you want, when you need it, always striving to exceed your expectations of professionalism and quality. We have extensive experience in delivering bespoke software development solutions from the ground up. Plus, a library of projects that we have delivered to build on existing off-the-shelf applications (Microsoft, Pegasus, QuoteWerks and Sage). With our business experience and portfolio of existing products and projects, we can deliver you solutions efficiently and cost-effectively to ensure that you get a solution which supports your business to return a fast return on your investment. To learn more about how we approach the process of developing bespoke software solutions, please see our analysis and design, development and testing and implementation and training pages, plus the project management, quality management and support management which bring the overall process together.